Lavender is having a moment. It's everywhere from tabletops and flower crowns to lemonades and pastries. The distinctive scent makes it popular in soaps, bath salts, and massage oils. It's only natural that lavender tea is increasingly popular among connoisseurs and casual tea drinkers. Lavender tea has been used for centuries in traditional medicine to boost mood and enhance calm. Now you can get these health benefits in more than one delightfully delicious way. We've put together a few lavender tea recipes so you can take a standard cup of relaxation and turn it into a truly luxurious tea experience. Read on for recipe that combine lavender buds with tea leaves and fruits for beverages that will keep you mellow all year long. Lavender tea is made from the flower buds of the lavender plant known by the botanical name Lavandula angustifolia. Lavender flowers are pale violet in color and famous for their vibrant purple rolling fields. These fields are cultivated in the Loire Valley of France, Bulgaria, California, and other parts of the United States. These flowers contain camphor, which results in an aroma that is crisp, fresh, and piney. 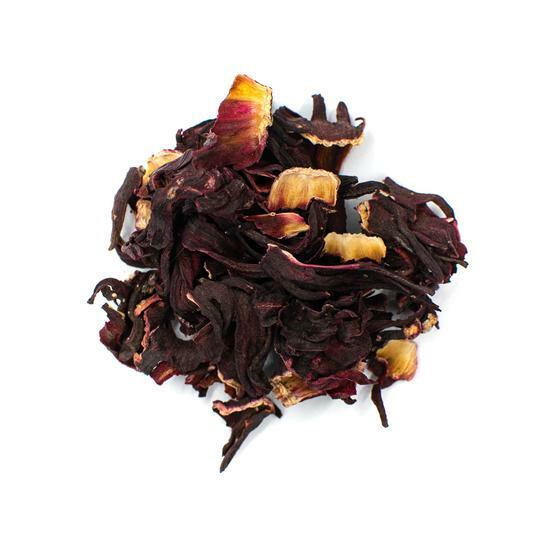 The taste of lavender tea is refreshing and floral with a minty finish. Lavender tea's nutrition facts demonstrate why this tea is so great for health. Lavender contains high concentrations of vitamin C, vitamin A, calcium, and amino acids that aid overall health. These compounds help to boost the immune system. Lavender tea is also calorie-free. That means it's a deliciously sweet yet healthy alternative to sugary sodas. Lavender is one of the most frequently used plants for essential oil aromatherapy and is beloved as a bedtime tea. Lavender boasts calming properties that help to soothe the mind. In Germany, lavender extract is known as Lasea, which is approved as an anxiety and sleep aid treatment. Lavender tea can help reduce muscle spasms and treat headaches caused by tension. The chemical compounds in lavender help to increase blood circulation. This delivers oxygen to the brain and alleviates throbbing headaches. The soothing nature of lavender can also help to loosen tight muscles after a tough gym workout. Lavender tea benefits also include better digestion, improved respiratory health and body detoxification. Antioxidants in lavender help to eliminate free radicals that can cause everything from wrinkles to cancer. The antiseptic and anti-inflammatory nature of lavender helps to prevent gastric diseases and ailments that can cause discomfort. Lavender has been shown to treat depression, stress, and can help you achieve more restful sleep. Instead of grabbing a glass of red wine to unwind after a long day, check out one of these lavender tea recipes. Lavender tea can be made using dried or fresh lavender buds. You can find lavender tea bags or loose leaf varieties at your local grocery store. Lavender oil, culinary lavender, and lavender syrup can also be used for iced tea varieties. You can also grow your own lavender plants at home and make fresh, homemade tea in minutes. Start by harvesting lavender bunches from your plants. Remove the flower buds from the stems and leaves. The lavender leaves are not used for brewing tea, so only keep the flower buds. You'll need about two teaspoons of lavender buds for every eight-ounce cup of water. Use only one tablespoon for dried flower varieties. Fill a medium sized teapot with filtered, purified, or spring water and bring to a rolling boil. Never use tap water or distilled water when brewing teas. These types of water can cause flavor alterations and prevent tea leaves and flower buds from infusing flavor completely. 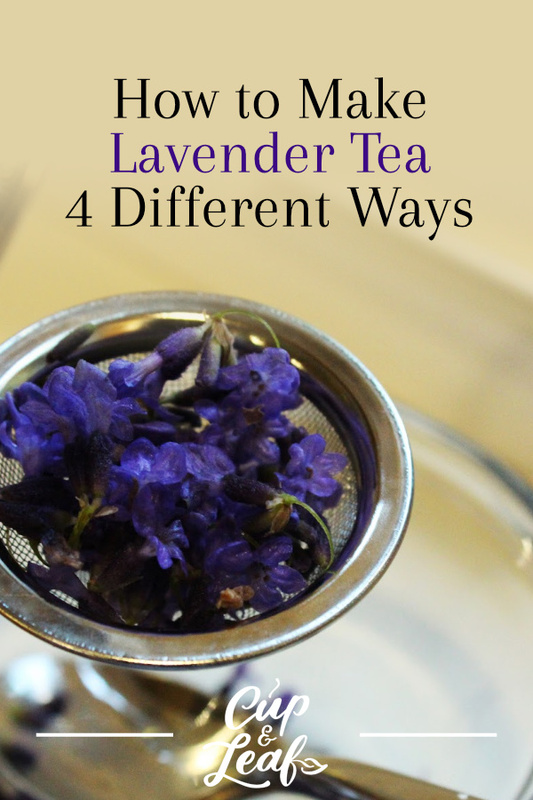 Add the lavender flowers to a tea ball, tea infuser, or tea sachet and place inside the teapot. We recommend using an infuser basket as it allows the lavender flowers to open completely and results in the best tasting tea. Leave the flower buds in the teapot for 10 minutes to steep. 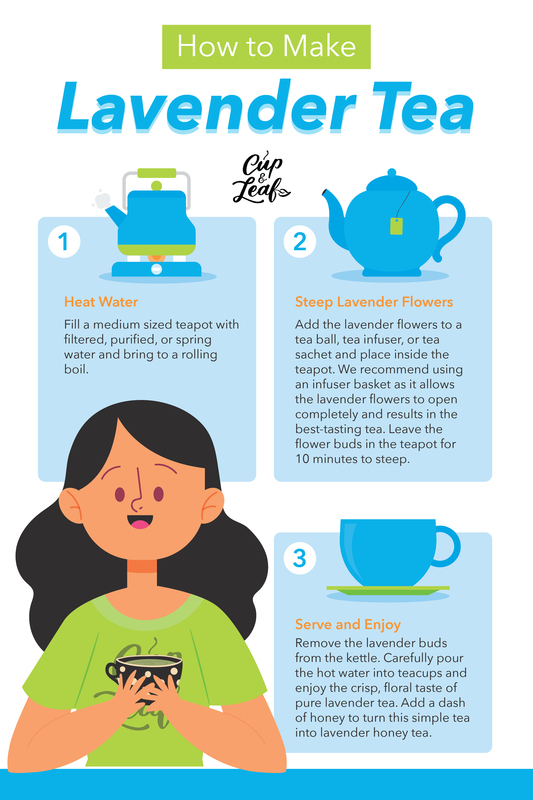 Remove the lavender buds and the tea tools from the kettle. Carefully pour the hot water into teacups and enjoy the crisp, floral taste of simple lavender tea. Add a dash of honey to turn this simple tea into lavender honey tea. 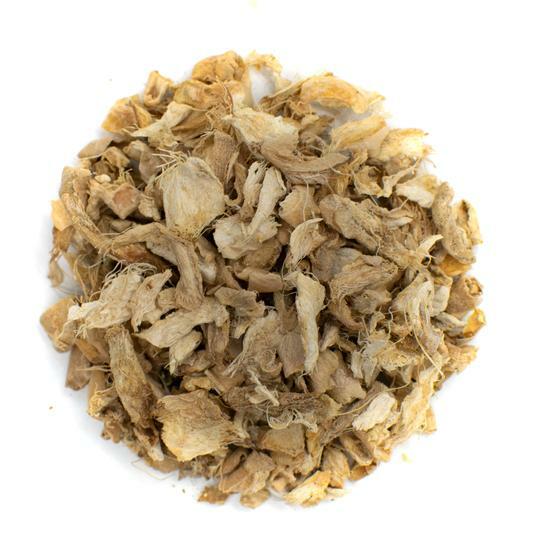 This herbal tea is a powerhouse if you're trying to get a peaceful night's sleep. 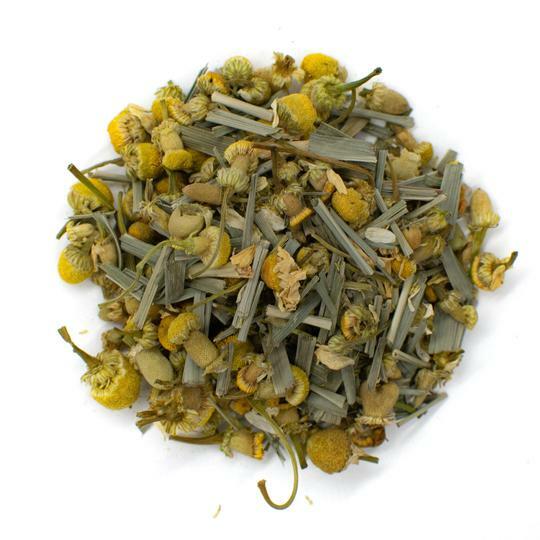 Just like lavender, chamomile boasts extensive sleep aid benefits and helps to induce calm and peace. Combine one teaspoon each of lavender and chamomile buds from the garden into a ball or sachet. You can also use tea bags or dried flowers if preferred. Create your own tea bag by pouring the fresh leaves into a large sachet opening using a funnel. Place a pot on the stovetop or use a tea kettle to bring eight ounces of water to a boil. Once the water reaches a rolling boil, remove from heat and pour into your cup. Place the tea leaves into the boiling water and allow to steep for 10 minutes. Remove the tea ball or sachet and sip your ways to sweet dreams. The sharp, floral tastes of lavender pair perfectly with the cooling, tingling flavors of mint leaves. Alternatively, you can swap the mint leaves for green tea leaves to jump-start your morning with a little caffeine. Add a quarter cup of fresh lavender petals and 1 cup of fresh mint leaves to a medium sized saucepan. Cover the leaves and buds with water and bring to a boil. Turn the temperature down to medium and let the brew simmer for 5 to 10 minutes. Taste every minute until the desired flavor is reached. Remove the mint leaves and lavender petals using a fine mesh strainer. Pour the infused water into a cup and enjoy. Nothing is better than a cool, refreshing cup of iced tea in the summer. Brew a delightfully calming beverage and sail into summer with this lavender and berry tea recipe. The cooling nature of cold water is great for refreshment, but doesn't develop flavors well. That's why it's always best to brew your iced tea with hot water. After infusing the flower buds and leaves, you can cool the mixture and add ice for a refreshing beverage. Start by brewing lavender tea following the steps of the simple lavender tea recipe. Heat water to a boil and add the lavender flowers for steeping. Place the tea kettle or glass jug in the refrigerator to cool. You can leave the lavender buds in the tea to deepen the floral flavors. Leave for about 1 hour before removing. Combine 50 grams of sugar and 25 grams of sugar syrup in a medium sized pan. Bring the mixture to a boil, making sure to stir constantly to prevent burning. Remove from heat and allow the sugar to cool to room temperature before adding to the lavender tea jug. Add your choice of berries such as strawberries, blueberries or raspberries. Add 7 large, sliced strawberries or a handful of the other berries to the iced tea pitcher. Place the pitcher back in the refrigerator for 3 hours. Fill tall glasses with ice cubes and add the lavender strawberry tea. Garnish with a slice of strawberry or lemon and serve immediately. Lavender tea has few side effects, but can cause issues in certain individuals. People who are sensitive to the scent of lavender may find the fragrance overwhelming. Lavender can also cause allergic reactions in sensitive individuals. Lavender tea is not recommended for pregnant women or young boys. Lavender can increase female hormone production resulting in complications for pregnancy. Always consult with your physician before consuming lavender tea when pregnant or breastfeeding. The increase in female hormones can also lead to the development of breast growths known as gynecomastia in prepubescent boys. While this side effect is typically reversed when lavender consumption ends, it's best to avoid giving the tea to young boys. These lavender recipes offer different takes on a classic staple. Mix it up with hot or iced versions or brew a simple cup before bed. You can also add different fruits to the lavender tea blends to add new flavor. Try replacing the berries with peaches, kiwis, or grapefruit for new and exciting lavender tea infusions. Drinking lavender tea is good for your health. The calming properties of lavender help remove stress and anxiety in a world that is constantly demanding more. The scent of lavender induces chemical reactions in the brain that help you unwind after a long day at the office. The floral, yet crisp notes of lavender entice taste buds and make this beverage a true luxury. 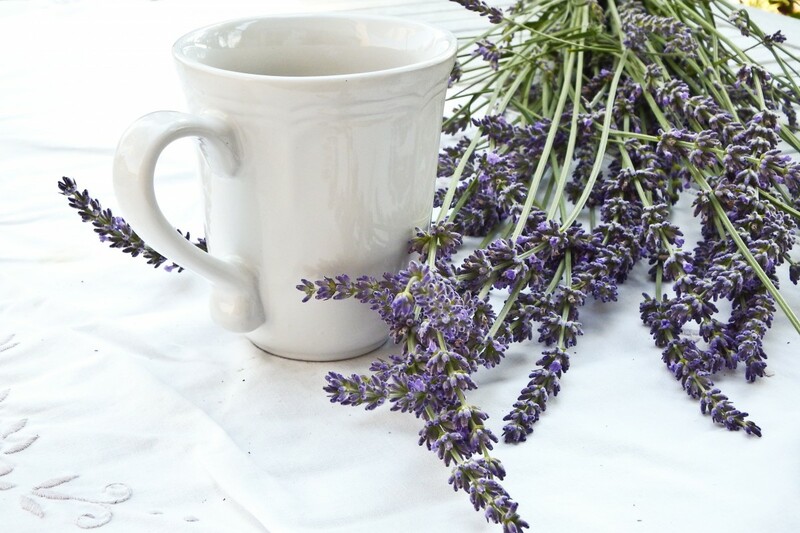 Put your feet up and drink to health and relaxation with lavender tea.